James Cheney speaks to the F#unctional Londoners meet-up about our F# library that implements A Practical Theory of Language-Integrated Query. The military and the referendum. Many readers will have heard about Lord Dannat in the Telegraph arguing a vote for independence will dishonour Scotland's war dead. 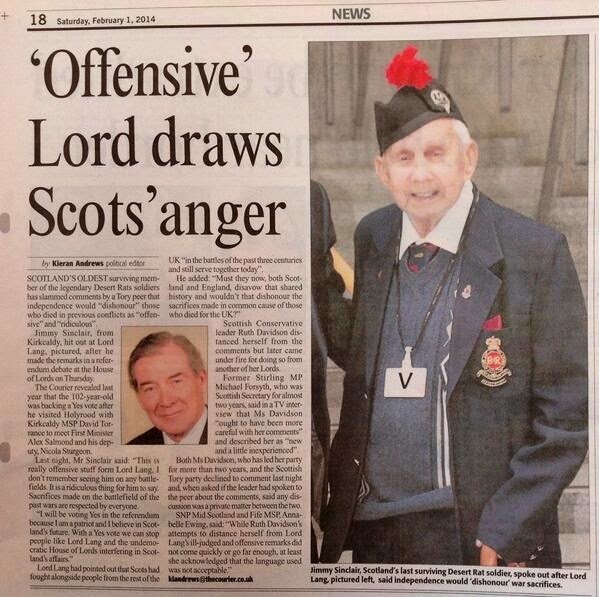 Perhaps not as many will have heard that Jimmy Sinclair (the oldest surviving Desert Rat, aged 102), Colin May (Lieutenant Commander, Faslane), and sixteen others have written a letter slamming Dannat; at least, I didn't hear until this morning. "How dare he take their sacrifice in vain and try to turn it to political advantage?" Readers of this list will know that I don't always see eye-to-eye with Alex Salmond. Nonetheless, I think he put the case for Europe well this morning on the Today Program. We can go through legal opinion and expert opinion as much as we like. I think the answer is in four figures: 1, 20, 25, and 60. 1% is the percentage of Scotland's population compared to the European Union. 20% is the percentage of the fish stocks of the entire European Union. 25% is the percentage of the renewable energy of the entire European Union offshore. And 60% is the oil reserves that Scotland has. huge amount of attractiveness to the rest of the European continent. You can hear the original here, the relevant segment starts at around 8:00. Scandalous! Nick Robinson asks Alex Salmond a question, and Salmond takes seven minutes to answer in detail. On the evening news, Nick Robinson summarises Salmond's answer in a few seconds as 'He didn't answer'. I used to be a supporter of the BBC, but it's getting harder and harder to justify. Dinna fash yersel — Scotland will dae juist fine! One relentless lie behind 'No' is that Scotland is too wee to make it on its own, counterexamples such as Denmark, Sweden, Singapore, and Hong Kong being conveniently ignored. May this post from Thomas Widmann, a Dane residing in Scotland, help to dispel the disinformation. Now repeat the exercise, but ask about a food item. Again, it’s likely they’ll have heard of haggis but that they’ll be struggling to name anything from Denmark. Now try a musical instrument. Bagpipes and … sorry, cannot think of a Danish one. A sport? Scotland has golf, of course. Denmark can perhaps claim ownership of handball, but it’s not associated with Denmark in the way that golf makes everybody think of Scotland. A piece of clothing? Everybody knows the kilt, but I’d be very surprised if anybody can name one from Denmark. A monster? Everybody knows what’s lurking in Loch Ness, but is there anything scary in Denmark? The only category where Denmark perhaps wins is toys, where Lego surely is more famous than anything from Scotland (but many people don’t know Lego is from Denmark). Denmark is also well-known for butter and bacon, of course, but these aren’t Danish in origin or strongly associated with Denmark in people’s minds. Several famous writers and philosophers were Danish (e.g., Hans Christian Andersen and Søren Kierkegaard), but Scotland can arguably list more names of the same calibre, and the Scottish ones wrote in English, which makes them much more accessible to the outside world. Scottish universities are also ranked better than the Danish ones in recent World rankings. Finally, Scotland has lots of oil and wind, water and waves. Denmark has some, but not nearly as much, and most other countries have less than Denmark. Because of all of this, I don’t worry about the details when it comes to Scottish independence. If Denmark can be one of the richest countries on the planet, of course Scotland can be one too. Yes, there might be a few tough years while the rUK are in a huff and before everything has been sorted out. And of course there will be occasional crises in the future, like in any other country. However, unless you subscribe to the school that Denmark and other small countries like Norway and Switzerland are complete failures because they don’t have nuclear weapons and a permanent seat on the UN’s Security Council, there’s simply no reason to assume Scotland won’t do exceptionally well as an independent country in the longer term. So I’m not worried. Of course there are many details to sort out, but at the end of the day everything will be fine. Scotland will be a hugely successful independent country. Dinna fash yersel! My last post quoted Joe Stiglitz, indirectly, to refute Paul Krugman's fear mongering. Now the man himself has spoken in the Sunday Herald. 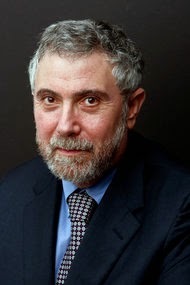 As Scotland contemplates independence, some, such as Paul Krugman, have questioned the "economics". Would Scotland, going it alone, risk a decline in standards of living or a fall in GDP? There are, to be sure, risks in any course of action: should Scotland stay in the UK, and the UK leave the EU, the downside risks are, by almost any account, significantly greater. If Scotland stays in the UK, and the UK continues in its policies which have resulted in growing inequality, even if GDP were slightly larger, the standards of living of most Scots could fall. Cutbacks in UK public support to education and health could force Scotland to face a set of unpalatable choices - even with Scotland having considerable discretion over what it spends its money on. But there is, in fact, little basis for any of the forms of fear-mongering that have been advanced. Krugman, for instance, suggests that there are significant economies of scale: a small economy is likely, he seems to suggest, not to do well. But an independent Scotland will still be part of Europe, and the great success of the EU is the creation of a large economic zone. Besides, small political entities, like Sweden, Singapore, and Hong Kong have prospered, while much larger entities have not. By an order of magnitude, far more important is pursuit of the right policies. Another example of a non-issue is the currency. There are many currency arrangements that would work. Scotland could continue using sterling - with or without England's consent. Because the economies of England and Scotland are so similar, a common currency is likely to work far better than the euro - even without shared fiscal policy. But many small countries have managed to have a currency of their own - floating, pegged, or "managed." Some of my colleagues have commented on Paul Krugman's financial diatribe, Scots, what the heck. My colleague Nigel Goddard penned a response. While I have a lot of respect for Paul Krugman, his blanket warning against currency unions is misplaced, at least according to Joe Stiglitz, another Nobel prize winning economist (two economists; three opinions). 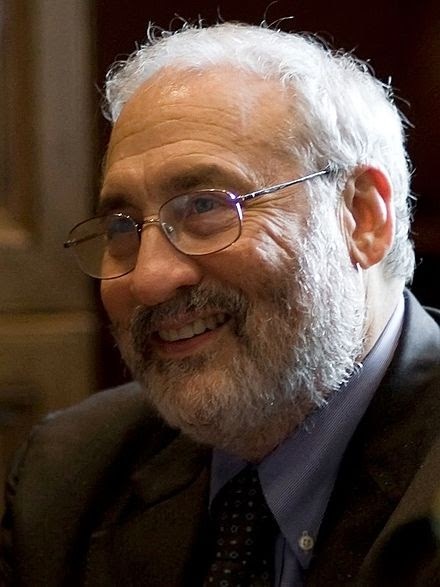 Stiglitz said (at the book festival) that all three proposed models (currency union, use of currency without union, separate currency) can work depending on the characteristics of the economies and, most particularly, the quality of the institutions running the currency (or currencies). For a union to work the economies must be similar in various important ways (level of investment, competitive advantage, etc). rUK and Scotland are similar at present so it can easily work. Over the longer term it may be that Scotland breaks out of the low-investment, low-skill rUK model and goes for a more northern European high-investment, high-skill model (let's hope!). In that case a currency union would over time come under strain and eventually break up (i.e., into separate currencies). But in that case I know which economy I'd rather be in. In the current situation, if the UK's central bank takes a decision contrary to Scotland's interest there is nothing we can do about it. An independent Scotland using UK currency could, if need be, move to its own currency. Krugman's piece says not a word on this option. RBS, Lloyds, and TSB cannot afford to keep their headquarters in Scotland without the backing of the larger UK, though they may well keep much of their operations here. 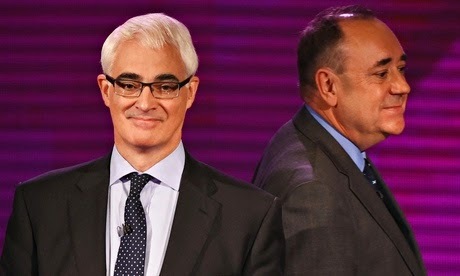 This is touted by Darling as a reason to vote No, but for me it's a reason to vote Yes. Banks too big to fail are an appalling idea; getting rid of them is an enormous benefit of an independent Scotland. I only hope Westminster keeps its promise not to agree a fiscal union!